Jewish Holocaust survivors of the 1941 pogrom in Iasi, Romania and the “death trains” that followed are now eligible to receive compensation pensions. Julius Berman, president of the Conference on Jewish Material Claims Against Germany, or Claims Conference, made the announcement in a statement Wednesday following negotiations earlier this month in Berlin with the German government. Under the agreement, the Romanian survivors will receive an increase for home care provision and other services offered through Claims Conference programs worldwide. Some of the additional funds also will be used to provide pensions to Iasi survivors who do not currently receive one. About 15,000 Jews were murdered in the June 1941 pogrom or died on the trains — which took many survivors of the massacre across the country for eight days — from suffocation, dehydration and starvation. 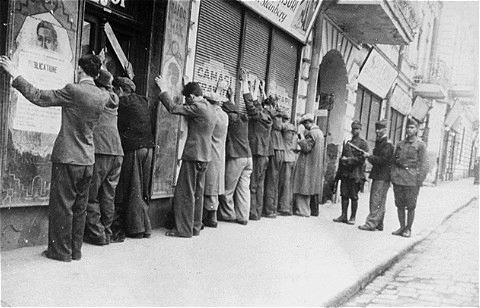 The Jews left behind in Iasi were forced to live in a designated section of the town set up as an open ghetto, under curfew and in constant fear of deportation to labour camps, while enduring regular beatings and cruelty by German and Romanian soldiers. The Claims Conference has allocated, through negotiations with the government of Germany, a total of £303 million ($392 million) to more than 300 organisations in 2017. The funds are used to support Holocaust survivors in 45 countries with home care, food programs, medical care, dental work, emergency cash assistance and transportation.